Budweiser has appointed Mischief PR to handle consumer comms as the beer brand aims to capitalise on a recent UK sales boost. The retained account will initially run for one year and Mischief will be acting as the day-to-day consumer press office for the brand, as well as high-profile brand activation moments throughout the year. In August 2010, AB Inbev, the brewer that owns the brand, announced that Budweiser beer production had increased 70 per cent in the second quarter of 2010, in line with its status as the official beer of the FIFA World Cup in South Africa. Mischief, crowned Consultancy of the Year at the 2010 PRWeek Awards, will report to Iain Newell, Budweiser European marketing director. 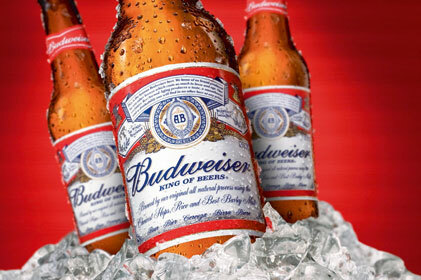 AB Inbev appointed Newell to the role following a vow by the brewer to continue investing in the Budweiser brand, as well as to increase its market share outside of the US. Mischief had previously worked with AB Inbev on a project basis for its Bud 66 brand, which launched last August, targeting consumers in their early twenties. When Bud 66 launched, Stuart MacFarlane, UK president, AB Inbev, described it as the brewer's 'most important business action in 2010'. At the end of last year, AB Inbev UK and AEG Europe announced the renewal of their exclusive beer partnership at The O2, the world's most popular entertainment venue, for the next six years. AB Inbev UK has been the exclusive beer partner to The O2 since 2008 and the renewal means the brewer's portfolio of premium beer brands, including Budweiser, Beck's and Stella Artois, will continue to be available to more than 7.5 million customers who visit the venue annually. Inbev UK is a part of Anheuser-Busch Inbev, the world's largest brewer, and operates three breweries in the UK. The company brews a range of beers including the UK's number one premium lager, Stella Artois. Mischief, which won the brief after a competitive pitch, begins work immediately.